Picture yourself reading a book, you are totally loving the story and the characters. You experience everything that the characters do, feel the entire range of emotions, but it doesn’t stick with you and rule you. You feel it, accept it, turn the page and move on to see what else there is to experience. And all the while you are truly happy even if what you are feeling is so called bad, because you know that it isn’t really happening to you, it is happening to the characters. With that mentality you just feel the pure joy of each and every experience. There is no good or bad or judgement, just the raw experience and it is perfect. And that is what I am living now and it is truly indescribable. Of course this is more than just a conceptual or intellectual belief. It is a total knowing. I had no real problem with understanding this on the conceptual level. I mean intellectually, I could totally see how this kind of thinking could work and help make you happier. The kicker is that it is not really about thinking a certain way, it is about knowing the truth and accepting it. And that is where I struggled. As the truth started to seep out of the intellectual level and into my true being I fought. I didn’t want to let go of all that I had believed and thought to be true for all of my life. I didn’t want to give up control. Everyone has their own unique way and may or may not struggle with this, but for me the struggle was an extremely important part of the process. That is how it was written for me and once I finally accepted that, things flowed a little more smoothly. I went through stages, and still am. I am in an adaptation and stabilization stage right now but it is so much fun and so exciting. I don’t know when or if this stage will ever end but it doesn’t matter. It is perfect either way. The so called hard part is over and the beauty is that I can look back on it now and truly enjoy it. I can see now how beautiful and wonderful it all was and how each and every moment was tailored with perfection to support me and my story. This is by no means a perfect explanation or even a good one. There are a ton of holes in what I have just said but it is the best I can do right now. What I know is that this is a life changing experience for me and for the first time in as long as I can remember I am completely excited and just buzzing with anticipation to see what comes next for me. 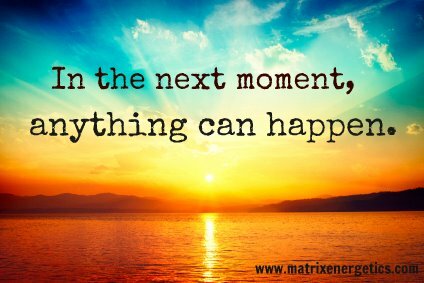 Every moment is a mystery, every thought is new, every action or inaction is magical. There really are no words that can adequately describe what this is and how it feels, but I am eternally grateful that it was written for me to experience it. Or you could skip the little introduction and go straight to the online experience The Ultimate Key To Freedom at Robert Scheinfeld’s website. Or you could let all of this go and move on with your life as it is. The beauty is that no matter what decision is made or not made it is all perfect just the way it is. I wouldl love to know more of this as I have read the Busting loose from the money game and loving it. Living in Cape Town as a single mother with many challenge specialy finacially i cannot afford to web seminar fees. Is there any other way of getting this amazing information? I looked for the book , but it seems not to be in bookform? Yes, the book is called The Ultimate Key To Happiness. IT is a great introduction to the entire Ultimate Key To Freedom experience. Also check out Robert’s website at robertschienfeld.com and sign up for his free newsletter. IT is a fantastic life changing program for sure. Hi, how did it change you on a practical level? Are your finances and career better? Thanks for asking. On a practical level what it has done is completely change the way I view and deal with the world and what happens in the world. There is much more joy in my life, I do not get stressed like I used to. Life is just much easier and way more joyful. As far as finances goes, they are definitely better. Money seems to be there when I need it. I do not stress over how I am going to pay for things anymore. The great part is that even if the money didn’t show up, that would be okay too because the way I view it all has changed dramatically and every bit of it is a wonderful story. As far as career and life goes, I just made a huge change and moved to another town, my art has been selling better than before and I am on my way to supporting myself solely with my art. That is a huge improvement. The big thing about the Ultimate Key To Freedom is that while it can change things on a practical level, once you embrace it all, you realize what happens on a practical level is really irrelevant, because no matter what is happening, it is all fun and joyful and entertaining. I laugh a lot more than I used to and I used to laugh a lot. I embrace every so called emotion and feeling and allow it to flow right through me, never holding on to any of it for more than a day. And it is not about only having positive thoughts or feelings, once embracing it all, you realize positive or negative does not matter anymore, because even the so called negative is joyous and fun and entertaining. It has been a life changer for me, for sure. Let me know if have any more questions.